We believe in the quality of our data acquisition systems and to prove it we now offer a Lifetime Warranty on all of our instrumentation. 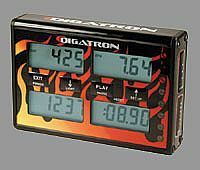 This includes parts and labor for as long as you own your Digatron data acquisition system. V1.29 has been released. Please visit the software page to download the latest version.